Natural gas, a FROG to the EU? Home/Opinion/Natural gas, a FROG to the EU? All of us have read the news on the ruling of the Stockholm Arbitral Tribunal in the Naftogaz vs Gazprom arbitration case on the gas supply and transit contracts from the direction of the behemoth towards the West. Gazprom is upset, has lodged an appeal against the ruling on the supply contract, will do the same for the transit contract until the end of March’18 and also asks for the early termination of both contracts with the Ukrainians. Such a gripping turn of events, right? While all this ‘battle’ is taking place, the EU seems to have simmered down its interest in gas, and focuses more and more on decarbonizing and digitalizing the energy markets, on the role of electricity and the potential to use it to cater to a wide variety of needs (transportation, heating, industry). At the same time, however, the EU puts forth a proposal for an amendment to its 3rd Gas Directive, the one which regulates the conditions for access to the European market of pipelines from 3rd countries. Some say this might be related to Nord Stream II and its huge potential future impact on EU’s energy market. The US have ardently opposed to the construction of the pipeline, “as undermining Europe’s overall energy security and stability.” The same US have become a rampant net gas exporter in a super short period of time and may develop into the world’s largest LNG exporter by 2020. And to top it all, guess what?! Romania seems to have huge gas reserves in the Black Sea basin and might actually have the potential to becoming a major gas producer in the CEE region?! Even though the hot topics now are the increase in variable renewables and electricity produced from vRES (solar, wind), gas ought not be disregarded, primarily for its quality of being the least environmentally damaging fossil fuel used by generators in the production of electricity, and secondly, for its incredibly valuable advantage of flexibility. This background also led the Council of Energy European Regulators to ask the Norwegian consulting company DNV GL to conduct a research project on the ‘Future Role of Gas from a Regulatory Perspective’. The study is also known as ‘FROG’ in the industry. 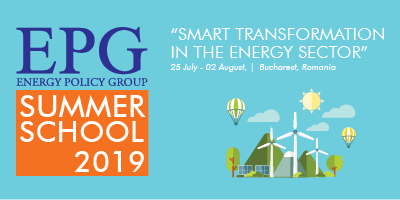 While the decarbonization trend might trigger significant changes along the gas value chain, the EU national regulators started themselves questioning the role of this abundant resource in today’s highly digitalized, technologically embedded, always on the move sector. In particular, the study focused on the potential future role of gas, its infrastructure and the consequent regulatory implications and measures that may be required. 1 In recent years, gas has underperformed in electricity generation, due to the high promotion of RES, which happened on the basis of large support schemes granted by the MS to the RES generators. 2 Gas will continue to be used and play an important role in electricity generation, as gas fired generation is necessary to back-up generation from renewables and to foster the stability of the system against the intermittency of RES. Gas will frequently be called upon as back-up for intermittent RES during times of peak demand. 3 Gas’s use is predicted to decline after 2030 as the power sector reaches full decarbonisation. 4 Renewable gases could be a possible valid alternative to the use of traditional natural gas. ENTSO-e and ENTSO-g have indicated that by 2040 that renewable gases may cover up to 12% of gas demand. 5 If up to now, the focus has been on fostering competition in the wholesale gas markets and ensure non-discriminatory access to the pipelines, the future trend in the gas area might be on developing tools for further market integration. Specifically, a new mechanism to uphold the merger of trading hubs or markets currently managed by different TSOs. This could actually be comprised in the text of a network code. 6 In the last few years gas has become increasingly important in the transportation sector, in its liquefied (LNG) or compressed form (CNG). CNG is used in cars, vans, trucks, while LNG in land and maritime transportation represents the most innovative development of gas. LNG is used for bunkering activities, as fuel for ships and as fuel for heavy-duty vehicles. The use of CNG for light-duty vehicles is at competition with electric vehicles. Regardless, the competition of natural gas and other fuels/electricity in the transportation sector will always be strongly affected by environmental regulation, as the vehicles’ manufacturers are and will be bound by emission targets. 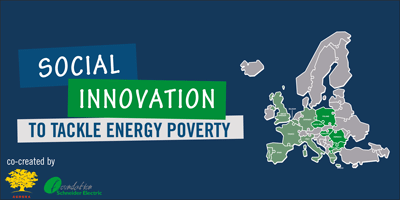 7 Biogas production and use has found momentum in many countries across the EU. For example, in Germany and Italy, biogas and biomethane producers are granted regulatory incentives to perform and subsidize their activity. They can contribute to decarbonisation targets and reduce the carbon footprint of the activities in which it is used. 8 On a growing streak have been the biogas plants which are further enhanced to bio methane plants. The latter can directly inject bio-methane into the natural gas transmission network. For instance, in 2016 France recorded the largest increase of bio-methane injected into its national gas grid. 9 Hydrogen is expected to become an important future energy carrier. It can be transported by trucks, rail cars or through pipelines. On the one hand, it can be used to accommodate the RES surplus, absorb and store electricity by converting it into hydrogen. Later on, it can be converted back to electricity or directly injected into the network. Nonetheless, hydrogen in itself represents an alternative source of energy worthy and capable of fostering the achievement of environmental targets. 10 Bio-methane is mostly injected in distribution networks, and exceptionally in the transmission network. Incentives for network tariffs should be adequately designed. 11 The transport of hydrogen via pipelines of natural gas network should be a regulated activity. The potential large hydrogen transportation network shall be accompanied by storage capacity to allow for system flexibility. Currently, small quantities of hydrogen are blended into the transportation pipelines. However, if the percentage increases, aiming at full conversion, then the regulators will need to amend the technical specifications for blended natural gas and also maybe modify the relevant Interoperability and Data Exchange Network Code. In this case, also, the regulators will need to update or create the design of commercial and access arrangements to the new system. In terms of market, network operators may be given the option to purchase hydrogen. 12 Decarbonisation could provide gas with a much longer life in the power sector. As we can see, the focus is on the use of gas through its decarbonized version of renewable gases. Momentarily, since the regulatory framework of the gas market, the 3rd Energy Package does not cover the decarbonisation trend, the EC will have to table a legislative framework also for gas, in the first quarter of 2020. The future therefore belongs to electricity and gas, used jointly to ensure security of supply, affordability and competitiveness of energy. The coupling of the sectors will be enhanced by the high utilization of renewable gases, especially hydrogen. Traditional gas, however, will not be disregarded from regulation and it may secure a larger market share in the transportation sector. The gas security of supply will continue to be an issue, especially for Central Eastern European countries, which are dependent on Russian gas and which are not equipped to receive LNG, as back-up. Coming back to the metaphor in the title, I’d say that gas is a frog only from the perspective of geopolitics, as it can ‘jump’ and change its position very quickly and unannounced. Include biogas, biomethane, hydrogen, synthetic gas. Power to gas is the process through which electricity is transformed into gaseous energy – hydrogen or methane.